The Harmony at Home Nanny Agency Kent office is located in the heart of Tunbridge Wells, Kent and is owned and run by Andi Keenen. Andi has first hand experience as an au pair and nanny. 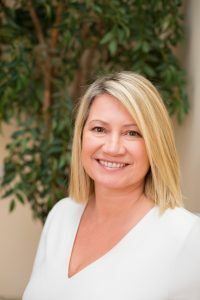 Andi lives in central Tunbridge Wells with her husband, two grown up children and dog and is always happy to meet all clients face to face. The Kent branch provides a wide range of childcare services for parents throughout the Kent region making use of our extensive range of experienced and suitably qualified Nannies and Child carers, as well as recruiting specifically to meet your personal child care requirements. Our aim is to provide a bespoke service taking into consideration each individual’s needs in a sensitive and professional manner and always with the highest levels of attention to detail. “Harmony at Home Nanny Agency Kent ran a mobile crèche at our first Mummytime pamper event for new Mums. During the event they looked after 30 children, with the youngest being 10 weeks and oldest 2.5 years. The nannies were great. All qualified experienced nannies with a good understanding of babies’ needs. Helen, the crèche manager on the day and who was running the registration process, was very efficient and organised and helped a lot in planning the event, providing valuable guidance and advice along the way. We would use Harmony at Home again and would highly recommend them for any corporate or social event as a reliable and professional mobile crèche provider.” Lucy Harrison, Mummytime. “I have been hugely impressed with the service Harmony at Home Nanny Agency Kent have offered. They spent time gathering information and as a result have found us a Nanny who fits in with our families needs very well indeed. I wouldn’t hesitate to recommend them. Anna, mother of three children, Tunbridge Wells. Nanny Agency Kent Services Provided: Nannies, Nanny PAs, Nanny Jobs, Nanny Recruitment, Nursery Supply, Mother’s Helps, Emergency Childcare, Emergency Supply Staff, Holiday Nannies, Mobile Crèche (Events, Occasions, Functions), Babysitting, Night Nannies. We cover the entire county of Kent, including Tonbridge, Canterbury, Rochester and Maidstone from our office in the heart of Tunbridge Wells.